This research was launched in line with “Incahoot’s Stop Moaning Campaign”, which is a country-wide drive to encourage UK’s end users to stop moaning about their finances, and instead take charge of them. Using Incahoot’s free Concierge Service, members are able to save up to £1,168 a year by shopping around for the best deals on their household bills. Consumers who are looking to change providers can just simply send a copy of their energy, mobile, home broadband, and cable bills, and Incahoot will work out how much they can save. They can even help you make the switch, too. 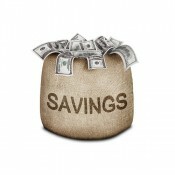 Moreover, if you need advice on debt management, you can also visit debt free direct at www.debtfreedirect.co.uk.